We currently accept all major forms of credit cards including Visa, MasterCard, American Express, JCB, Discover, and Diners Club. We also accept purchases through and purchases through PayPal™ accounts. I just submitted an order, can I change it? If you have already received a shipping confirmation email, then your Wrap Ring is out the door and on its way! You can email ask@wrapring.com in a timely matter, and we will try to accommodate you. However, once it’s out of the door it’s also out of our hands on its way to yours! You will receive a payment confirmation email shortly after placing your order. If you don’t see this within an hour, please get in touch with us at ask@wrapring.com! Do you offer gift packaging? Our current packaging is already like opening a present! We do not normally do custom wrapping, but email ask@wrapring.com and we may be able to work something out. I’m having trouble placing my order online; can you help? Sure! Please email ask@wrapring.com if you have any questions that are not answered here. Did you get a confirmation email? Then yes! Most orders will take 1-2 business days to ship out of our warehouse. We currently offer USPS first class mail which typically takes 4-7 business days. Please contact ask@wrapring.com for international orders. We charge a flat $6 rate for all shipping within the United States, and $10 to orders in Canada. We currently use USPS for all Wrap Ring purchases. Currently, we only ship to the United States and Canada for individual purchases. At the moment our standard shipping rate inside the United States is $6 and our flat rate shipping to Canada is $10. If you are interested in purchasing a larger quantity of Wrap Rings however, please contact ask@wrapring.com and we can try to work something out. Please kindly note that duties and taxes are not included in the total at checkout. These are determined by the customs agency within the destination country. Assessment of duties and taxes will be based on the value of the order and the tax-free threshold, if it exists, for goods imported into the destination country. Payment of any duties and import taxes is the responsibility of the recipient, and these fees are collected at the time of delivery. Do you ship to college dorms? Email ask@wrapring.com ASAP after your order is placed and we may be able to change your shipping destination. Once you receive a shipping confirmation email, your Wrap Ring will already be out the door. At that point there isn’t anything we can do. Do you ship to military bases? If you have a valid return request (item is undamaged), please visit this page to fill out our form and we’ll get back to you as soon as possible. All our chains are made from .925 Sterling Silver, and our gems are made with genuine SWAROVSKI ZIRCONIA. How should I clean my Wrap Ring? We recommend seeking out a local jeweler who will be more than happy to clean your Wrap Ring. However, for a quick clean you can just wipe your ring thoroughly with a jewelry cloth. Are you going to offer more variations on the Wrap Ring? Stay tuned! The first collection of the Wrap Ring is only the beginning! How can I keep updated on all things Wrap Ring? By subscribing to our email list, you'll be informed about anything and everything related to Wrap Ring! We also encourage you to follow us on Instagram, Facebook, Pinterest, Twitter and Snapchat for the latest for the latest information on our product. Thank you! Email ask@wrapring.com with details of how you got there. 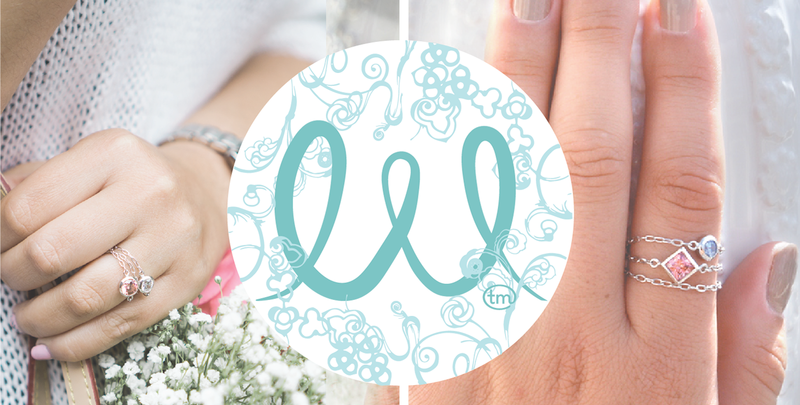 Wrap Ring would love to keep you posted on upcoming promotions, VIPeeks of new products and much more. Leave your name and e-mail address, and we'll be in touch with a promo code for 10% off your first order!